Ultra Repair Concentrate 30ml / Wake up to more beautiful skin every day. 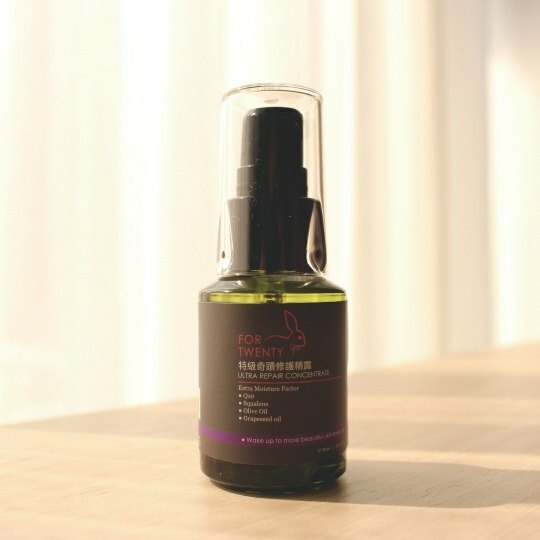 https://c1.staticflickr.com/3/2829/32085188394_83bfdccd69_b.jpg **Ultra Repair Concentrate 30ml** ● Wake up to more beautiful skin every day. Extra Moisture Factor ● Q10 ● Squalene ● Olive Oil ● Grapeseed Oil Ultra Repair Concentrate reveal a smoother, more radiant, younger look and dramatically reduces the look of all key signs of aging.It maximizes the power of skin's natural nighttime renewal with our exclusive Ingredients. ※Lines and wrinkles look significantly reduced.※Skin looked more youthful in just few weeks.※Skin feels smoother, hydrated, stronger.※Skin is immediately hydrated. ※Skin looks younger, radiant, more even toned. ※Skin looked healthier, fresher, more rested. Terra Series ● Preservative-free ● Alcohol-free ● Free of artificial colors Usage： - Apply 2-3 drops of treatment on cleansed skin. - Gently press fingertips to cheeks, forehead, and chin to evenly distribute the application before gently massaging it into the skin. - Can wear alone or under moisturizer. Storage： Store at cool place,avoid direct sunlight. Best Before： 3 years. Production Date： Please see the label attached.